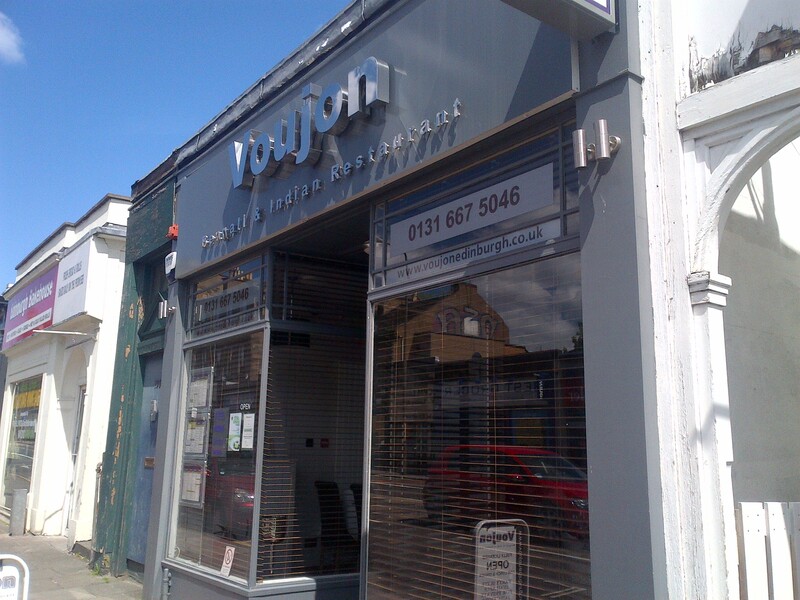 Deep in the heart of Newington, Voujon hadn’t been on my radar until I read about on Edinburgh Foody, a couple of months back. I made a mental note to check it out, once I’d found out where it was. On the main road heading out towards Cameron Toll, it’s a rather smart little place, with a modern and stylish feel to it. Service is kept simple and accurate. I was immediately brought the menu and the wine list, on arrival. 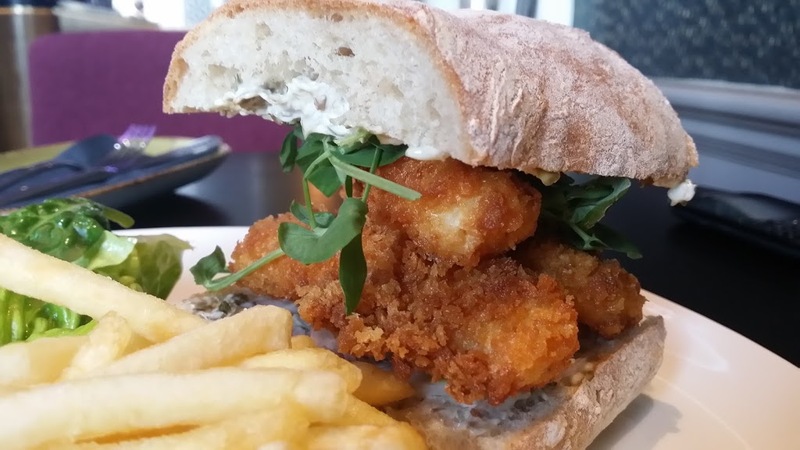 Their selection brings together dishes with a classic feel alongside those with fresh and innovative touches. I was in classic mood, so opted to try their lamb saag, after starting with a bowl of lentil soup. 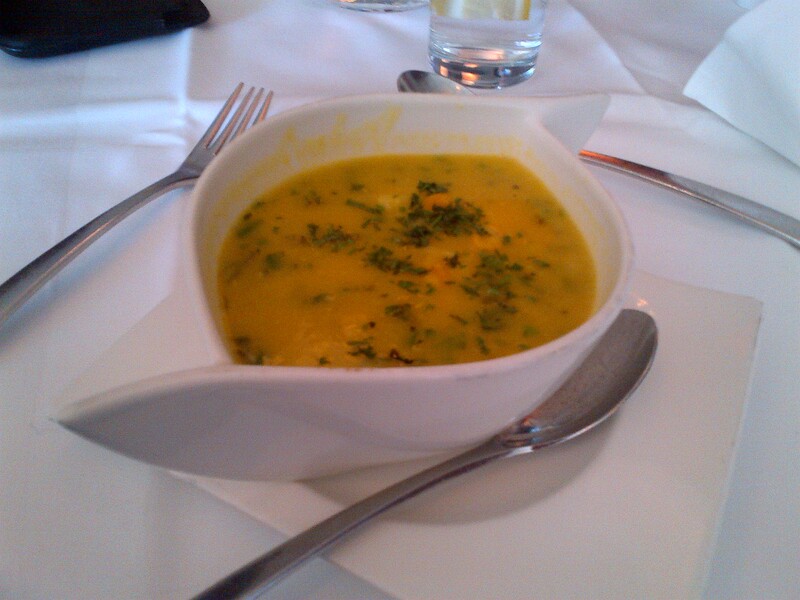 The soup was promptly brought, presented rather smartly in an S-shaped bowl. It proved to be very good, with a well-judged blend of textures, plenty of chunky yellow lentils, and warm spicing. It had a lovely fresh citrus kick to it, too. 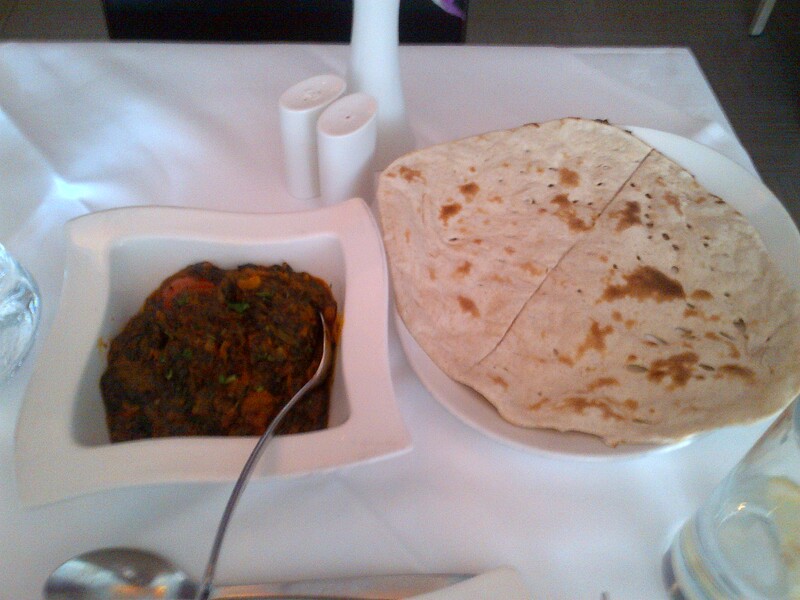 My main course, accompanied by a fresh tandoori roti, was equally good. Tender lamb pieces were served with beautifully cooked spinach, all brought together with fragrant spices. It was a smart, well-executed dish, packed with satisfying flavour. I cleaned my plates with both courses, and left feeling suitably full of tasty Indian goodness. 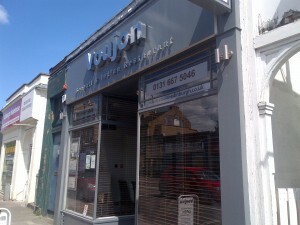 So overall, I found Voujon to be a highly impressive place, serving smartly prepared, flavourful dishes. I’d be happy to recommend it to you. I imagine that their extensive menu will keep you more than happy over the course of a number of trips, as I was keen to try many more dishes than I was able to, today. I look forward to my next visit.